DAVAO CITY, Philippines – A Lantern-making and Mooncake-eating contests are just two of the highlights of this weekend’s celebration of the 1st Chinese Mid-Autumn Moon Festival in Davao City’s Chinatown. 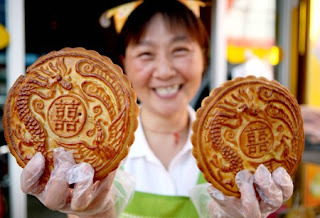 The second most important day in the Chinese calendar, the Chinese Mid-Autumn Moon Festival falls on the 15th day of the 8th month in the Lunar Calendar. This is when the moon is believed to be in its fullest and roundest. Today, dubbed as Lantern Lighting Day, Chinatown hosted a variety of activities, including the Chinese Lantern Making Contest at the Peace Archway in Santa Ana Avenue.